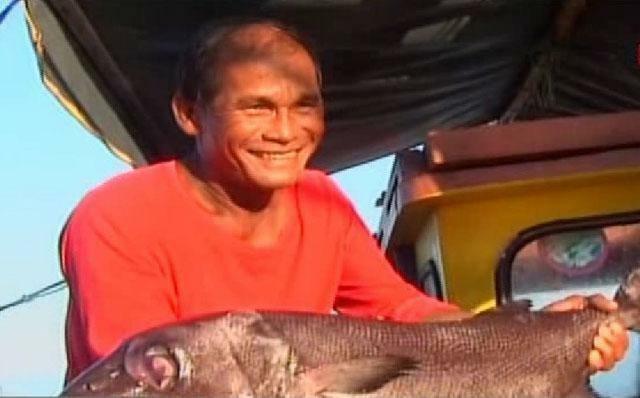 Fishermen from Pangasinan returned home early Saturday with a huge load of big species of fish they caught from Panatag (Scarborough) Shoal, after they were allowed to fish inside the lagoon for first the time in four years. Some fishermen from Pangasinan arrived with their huge catch early Saturday morning after days of fishing inside the shoal beginning Wednesday night. They showed their "brimming" boats with the catch of black and orange lapu-lapu fish, bakalaw, tanigue, and damas o bisugong bato, among other species of fish. The returning fishermen said they were surprised when finally on Wednesday evening no Chinese Coast Guard vessel blocked them upon their approach at the entrance of the shoal. "Noong Martes, sinubukan naming pumunta sa Scarborough Shoal (called Kalburo in the locality) pero hinarang kami ng Chinese Coast Guard vessels," said Gilbert Rovinna, the skipper of F/B Rovinna fishing boat. He said they tried again to go near Wednesday evening and they were surprised the Chinese did not stop them until they got inside the lagoon and dropped anchors. 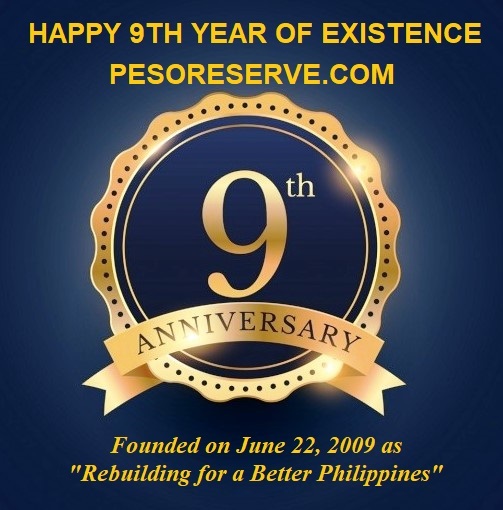 Gilbert and his companions thought that the sudden change in the Chinese Coast Guard's behevior was a result of President Rodrigo Duterte's talks with Chinese President Xi Jinping. They said they are happy to be back at the shoal because fish is abundant in the fishing ground, especially in the west side of the lagoon. Noel Daruca, Gilbert's companion, said that when they came to the shoal on Tuesday, Chinese Coast Guard met them at the opening of the lagoon. He said they told the Chinese that the Philippine President had talked to their President, but the coast guard personnel said "go!go!go!" Then they tried their luck Wednesday evening. No Chinese blocked them so they proceeded into the lagoon. Only a small Chinese Coast Guard vessel is left inside the lagoon, the report quoted the fishermen as saying. A separate report by Bam Alegre on "Balitanghali" said that at least three Chinese Coast Guard vessels were seen circling the perimeter of Panatag Shoal on Saturday morning. These vessels did not block and allowed at least six Filipino fishing boats to catch fish inside the disputed shoal, the report said. 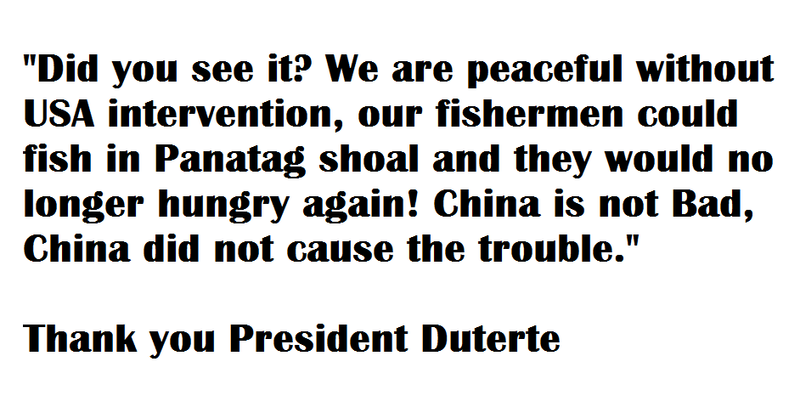 Quoting fishermen as saying, as recent as October 8 local fishermen are being blocked by the Chinese but in the last five days the first batch from Subic were allowed entry. On Friday, Malacañang confirmed that Chinese Coast Guard men were no longer chasing Pinoy fishermen away from shoal.